Recently, we had a client come to us that had an undesirable experience with another head lice removal company that offered in-home services. The technician that arrived quickly checked the family visually. She decided that only one child had head lice and needed a treatment. The treatment included soaking her daughter’s hair in olive oil, washing it with dish detergent and three hours of combing with a cheap plastic comb. When the technician was done, she told the mother that her child was 100% lice free but needed to sleep with olive oil in her hair covered with a shower cap for the next two weeks. After seeing live bugs crawling in the little girl’s hair the next day, the mother called the company to re-treat her. The family was not satisfied with their service. Three weeks later, the mother called Head Hunters L.R.S. because they found live bugs on multiple members of the family. We preformed wet head checks on the entire family and treated the original little girl and two additional family members. The little girl’s problem was not resolved the first time. During their visit, we corrected the misinformation that the other company gave them with the correct lice facts. The family came in for their follow up visit the following week. They were 100% lice free! The company: Speak personally with the company to get a feel for who they are. Find out the price of the service up front and make sure there are no hidden fees. 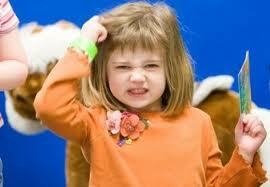 Treating: Make sure the company shows you evidence of head lice. Do not use a company that offers to clean your house for an additional price. Head lice do not infest the house; they are parasites that can only survive on the human head. Follow up visit: Choose a company that offers a follow up visit. A company should not tell you that you will be 100% lice free after only one visit. To err is human and head lice removal is a process. Even the most respected and experienced lice removal expert does not promote this. It is not necessary to have a lousy experience when dealing with head lice. Head Hunters L.R.S. understands the fears and frustrations that go along with choosing a lice removal company. 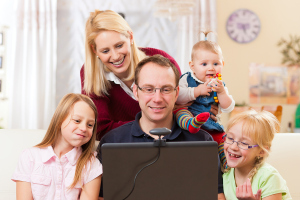 Our top priority is customer satisfaction and we strive to provide each family member with a great experience. Each client is just as important as the next and during each appointment we calm fears, provide correct lice facts, give recommendations and handle any head lice infestation. Call The Head Lice Specialist at 678-240-0042 to start your great experience!